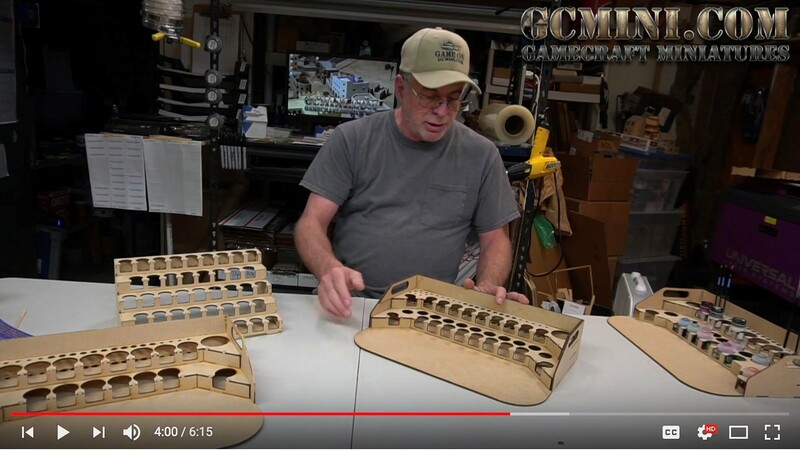 If you play miniatures games, you need a dice tray. These little devices keep your dice from rolling all over (and off) the tabletop and they keep your dice from knocking over (and possibly damaging) your miniatures. 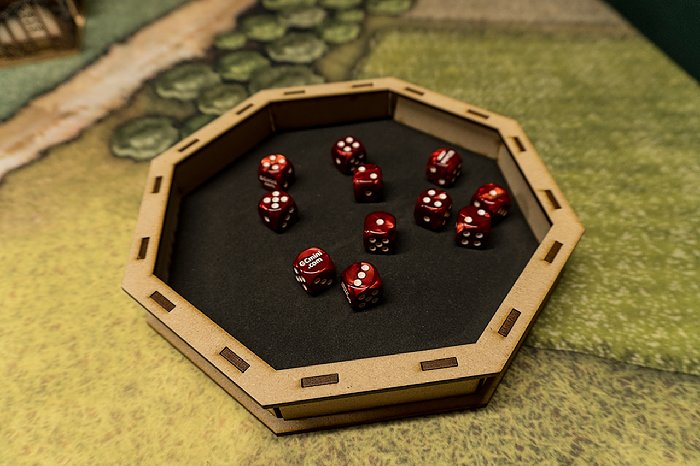 I've got a really nice dice tray that I have been using for years and we sell it on the GCmini website, but I wanted something just a little bit smaller that does not take up so much tabletop space. So, we designed and built this one. This one is an 8" octagon compared to 10" on the one we have been selling. A two inch difference does not sound like like a lot, but believe it or not, this saves you about 30 square inches of tabletop space. As a bonus, our dice tray is $11.00 less than the one we have been selling for years and is made right here in our shop. The Dice Tray comes to you fully assembled and ready to use. Shop at the GCmini online store between now and midnight Wednesday July 4th and take 15% off everything in store when you use the coupon code JULY42018 at checkout. 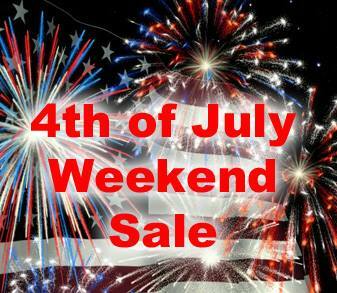 To take advantage of this sale and enter the coupon code JULY42018 when you check out. 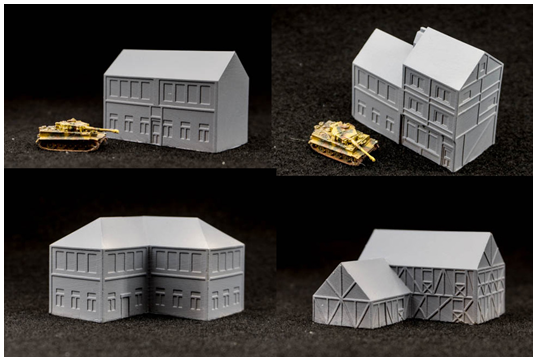 We have just added four new buildings to the 6mm (1/285th scale) European Town and Village series. These are resin cast models that require no assembly and feature very nice sharp raised and sunken details that make painting a breeze. Shop at the GCmini online store between now and midnight Monday June 18th and take 15% off everything in store when you use the coupon code FATHER2018 at checkout. To take advantage of this sale and enter the coupon code FATHER2018 when you check out. Today GCmini are officially announcing the release of version 2 of our Portable Painting Stations. These new Painting Stations are a result of much customer feedback and suggestions. The original Painting Station designs remain available, these new designs give you more options. These painting stations are based on our existing Painting Stations but increase the number of paint bottles you can store on the station. These are perfect for projects that require a larger number of colors and just the answer for people that do not have a dedicated workbench where they can store their paints on a paint rack. Military personnel living in the barracks, students in the dorms, cross country truck drivers, and city dwellers with small apartments will all love this new design. The Version 2.0 Painting Stations are fully compatible with our Painting Station add-ons such as the LED light bar, drawer kit, and water bottles. Click here to see the entire product release video or watch below. You can see these new Painting Stations on the GCmini website by clicking here.